They were rescued by a group of monks who found them on their doorstep. 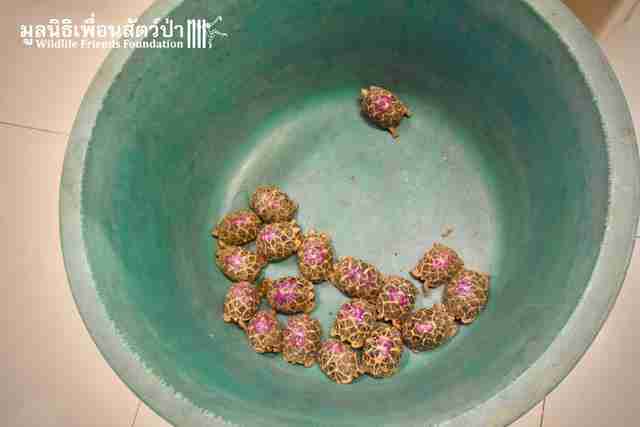 When a monk discovered a box left just outside his temple in Bangkok, Thailand, 20 tiny lives were saved. It actually happens quite often that animals are left outside temples in Asia. 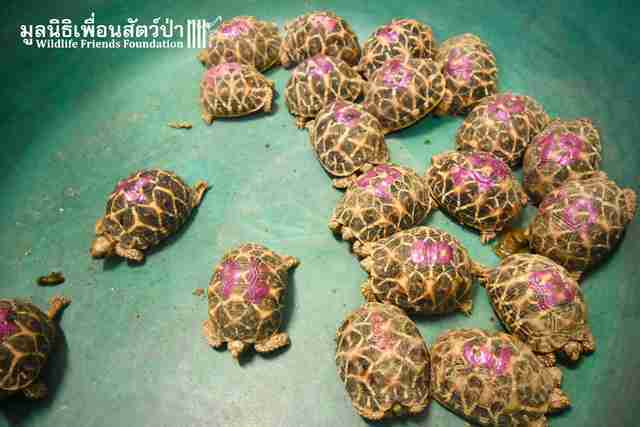 Traffickers or people who have purchased endangered species as pets get concerned about getting in trouble, and so abandon them on the monks' doorsteps. 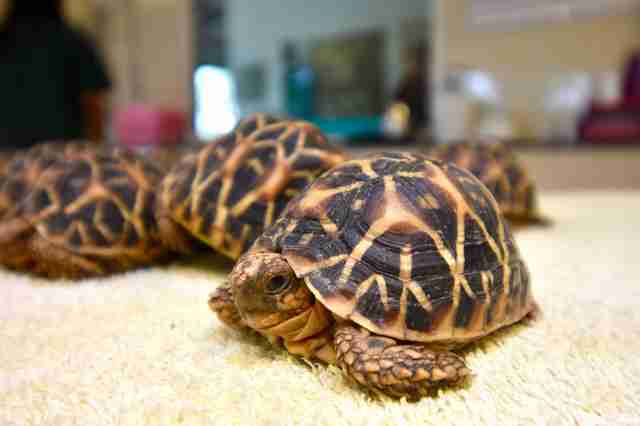 In this case, the box contained 20 baby Indian star tortoises — a species considered vulnerable to extinction. 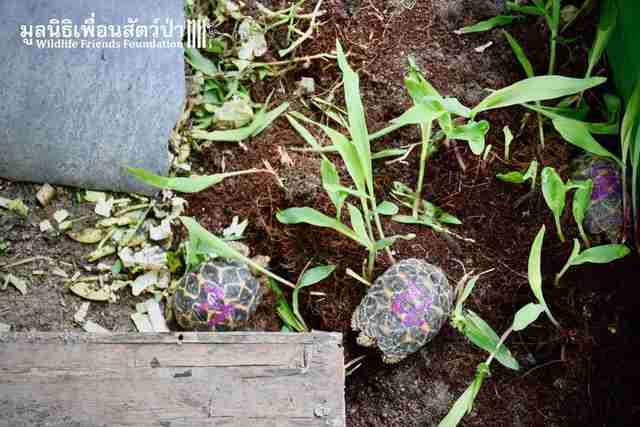 "These little tortoises are some of the lucky ones," Wildlife Friends Foundation Thailand (WFFT) wrote last month. 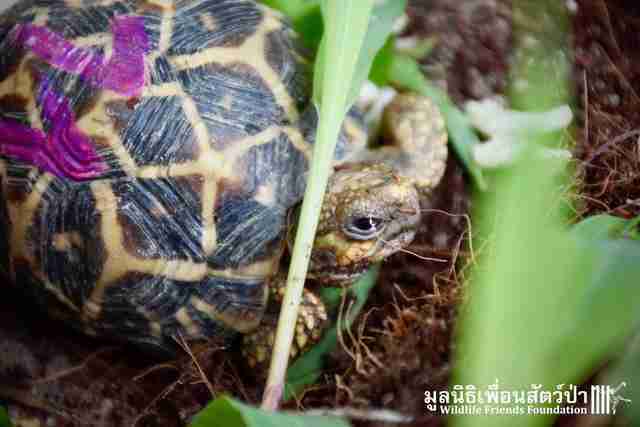 WFFT is a safe haven and sanctuary for so many different kinds of animals in Thailand who have been stolen out of the wild or abused by human beings. "It is thought that this species is being illegally smuggled from India into pet markets in Asia, Europe, and the United States," WFFT added. 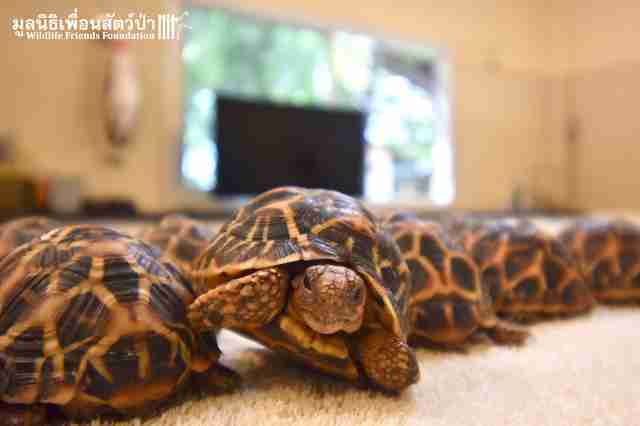 "[This species] is the most commonly seen tortoise at the infamous Chatuchak Weekend Market in Bangkok." Turtles are not only being stolen out of the wild — they're also losing their homes to land developers and farmers. 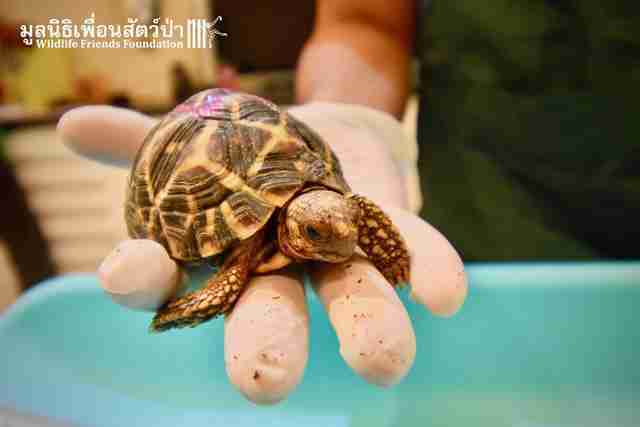 But the lucky 20 were transferred to WFFT for help, thanks to the monk who knew they needed special care. 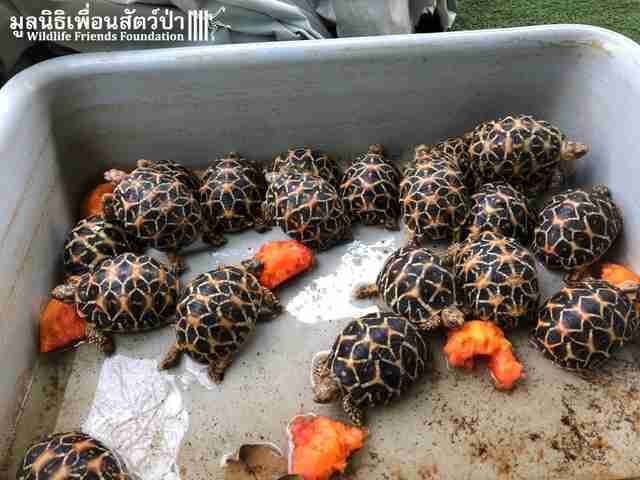 Rescuers offered the turtles fresh fruit — which they happily accepted. 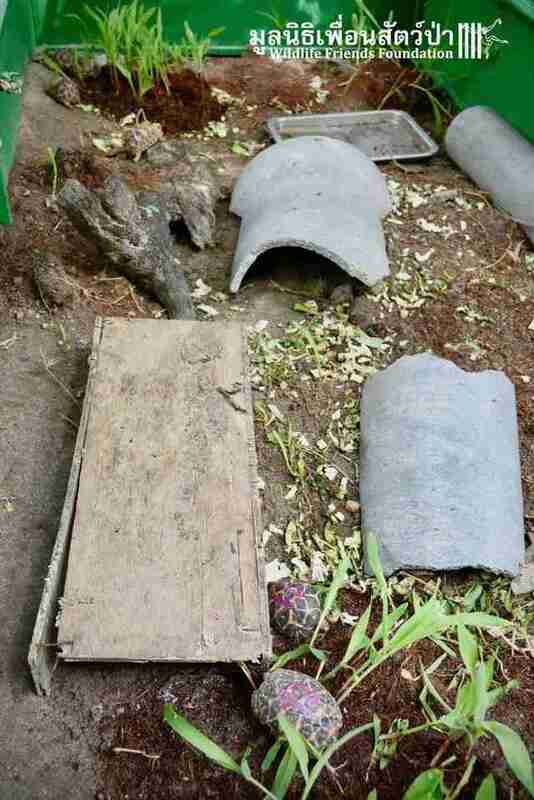 For a while, the turtles were kept inside so they could be examined and monitored by wildlife experts. But rescuers had a surprise they were working on for the babies. "We are in the process of creating a specialized habitat where they can walk on grass, bask in the sun and cool off in a pool," WFFT wrote. 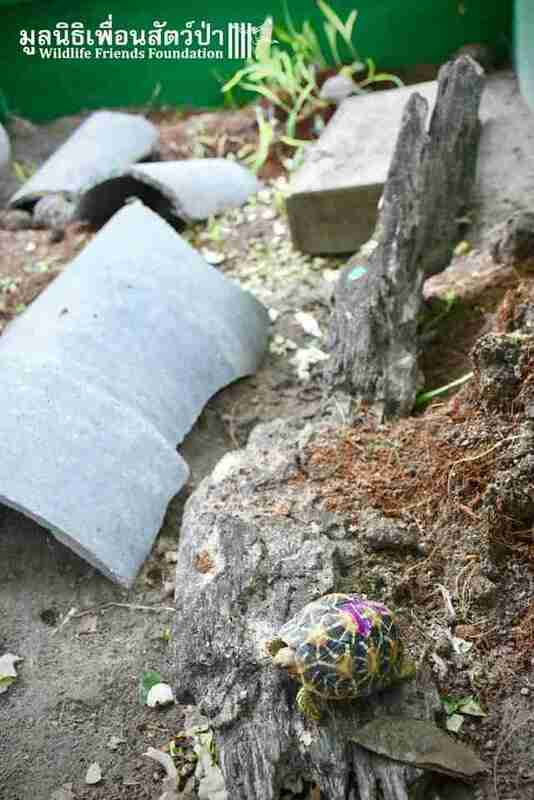 Several weeks later, the baby turtles were introduced to their special little playground. 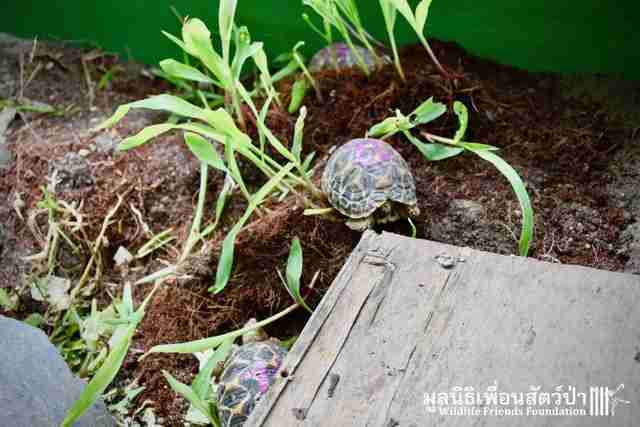 There are several little houses for the turtles to sleep in, and lots of grass and tree branches they can practice climbing over. Turtles can't exactly jump for joy — the way any dog might if given his own personal playground — but despite their hard exteriors, there was definitely a twinkle of excitement in their eyes as they started exploring their new home together. When they grow, they'll be given an even larger habitat where they can live together, safe from traffickers and land developers. 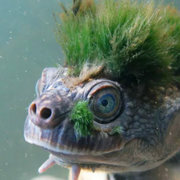 It's believed that tens of thousands of these turtles are illegally stolen from the wild every year to be sold as pets. Thankfully, these babies were spared that fate. To help WFFT save more animals in need, you can make a donation.